There was a lot of action taking place in Monterey, and some of the biggest draws of the weekend are the auctions. Houses Mecum, RM Auctions, and Gooding & Co. all hosted auctions, and each one had a number of special Porsches available. Depending upon what you were looking for, there was a little bit of something for everyone. FLATSIXES.com was graciously invited to attend both the RM and Gooding events, so we'll begin with those. This 959 "Vorserie" that we profiled in our auction preview was predicted to capture around $500,000, but ended up much higher than that, with a final price of $737,000 after premiums. 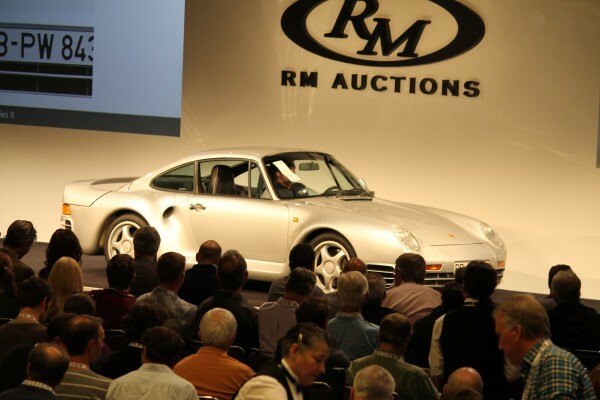 This one didn't particularly surprise me, as run-of-the-mill 959s [if there is such a thing] have been hovering around the half-mil mark for a while now, and this one is rare and special, well even more so. For some reason, Porsche enthusiasts weren't out in as full of force as RM had hoped, as a number of Porsche lots went unsold. 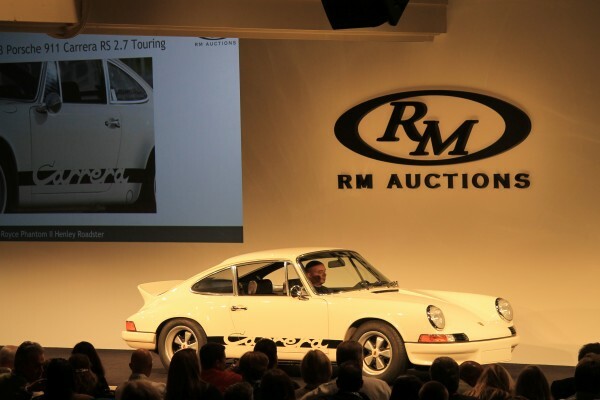 The biggest surprise was this 73 2.7 RS that caught a high bid of $430,000, but fell shy of the reserve. We're not sure what the seller had reserved the sale at, but it could not have been much higher. It was a well presented car, but I'm not sure it was a half-million dollar lot. The auctioneer mentioned to the high bidder to "meet up after the sale, maybe we can come to a deal", which usually means the finishing bid was quite close to the reserve. Another surprising no-sale lot was the Dyson Racing 962. With provenance, a popular team history, and a recent restoration on its side, the high bid of only $650,000 rang as a bit below desired. This one was a good save, as the seller should not settle for less than $800K on this beautiful car. Others have sold for higher with less to show for it. 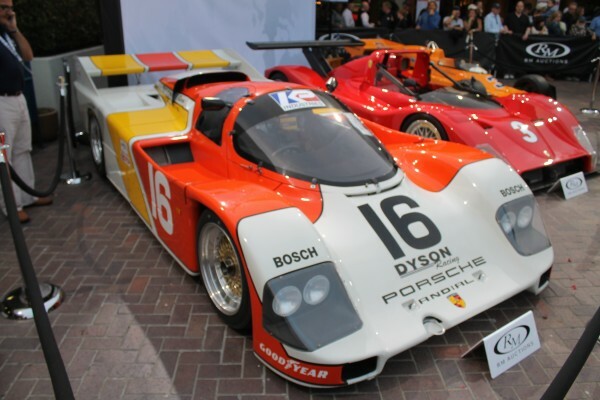 The deal of the night may well have been this Franz Blam 934.5 racer that sold for $550,000. The final sale price was below the pre-auction estimate, and frankly, what the car is worth. The buyer got a good deal on this, and here is hoping that it'll be out at Laguna Seca next year for the Monterey Historics. Over at Gooding & Co, the money flowed. 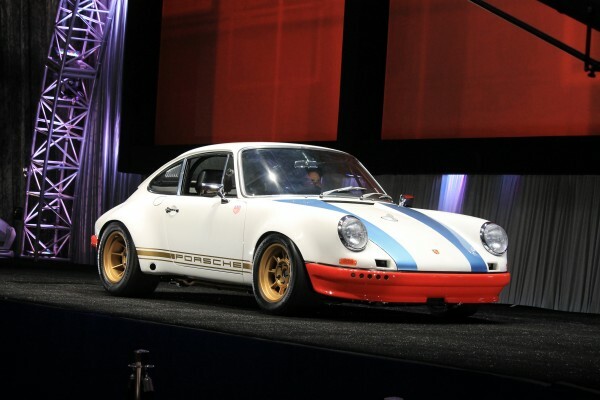 While it wasn't the highest dollar valued Porsche sold, Magnus Walker's STR II sold for well over the pre-auction estimate with a winning bid of $275,000 ($302,500 after commission and premiums). The bidding opened with an absentee bid of $110,000, and simply ballooned from there. There were at least three bidders in the room and another on the telephone, but the final sale went to the gentleman who was seated directly to Magnus' left (more on this later). After the dust settled and handshakes were exchanged, Walker then offered to buy drinks for the new owner. This lot came from the collection of the late Matt Drendel, a gorgeous low-mile 993 GT2. With a stiffly sprung clutch, the car was a riot to watch being loaded into the pre-auction lineup, as the driver stalled the car multiple times moving it only a few hundred yards. 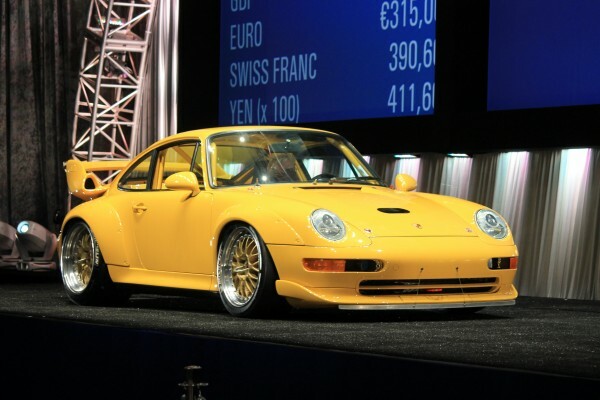 In the end, the car went for a record high price for a 993 (excluding 993 GT1, we presume) at an astounding $506,000. Someone will have a unique piece for their collection, and hopefully lots of turbo-charged fun. My personal favorite auction car of the weekend was this absolutely perfect 356 Carrera Speedster. With the price of anything four-cam going through the roof in the last decade or so, it was no surprise that this example was another record sale. 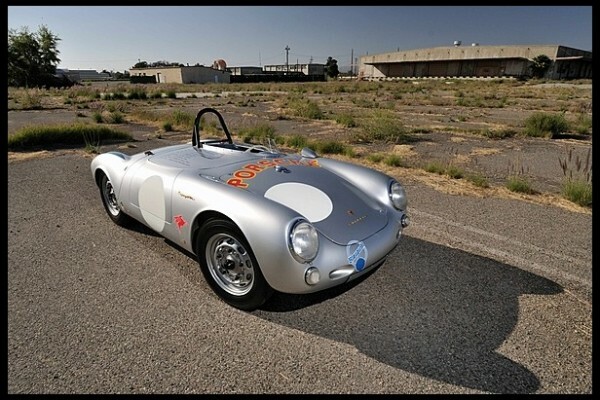 You are looking at the world's most expensive 356 with a hammer-fall price of $1.485 million dollars. The seller was happy, I'm sure. 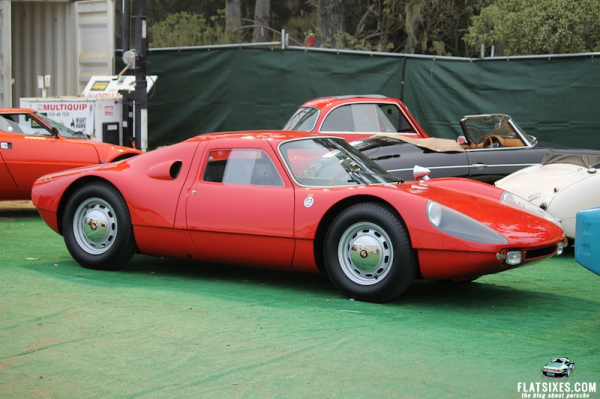 If I had to pick a second place, however, it would be this 904 GTS. 904-056 sold on Saturday evening for another record. While the car was still below pre-sale estimates, the winning bid of $1,595,000 placed it at the top of the all-time list. It is safe to say that 904 prices won't be going south anywhere anytime soon. Falling square in the middle of its estimate, this gorgeous RSR ended bidding at $742,500. Not particularly a surprise, but given the right buyer, I would not have thought the high mark of $800K even to be out of the question. Having been driven in-period by Al Holbert, Hurley Haywood, and Peter Gregg, among others, and stunningly presented in its Sebring winning livery, it is a well bought piece for any motorsport enthusiast. 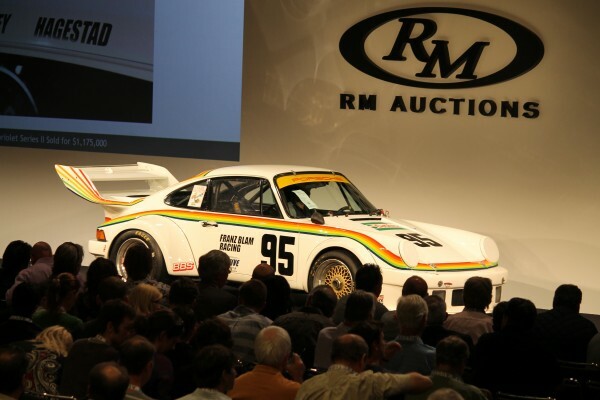 While the whirlwind of auction activity prevented us from attending the activities at Mecum, there was still a little bit of Porsche news to be had on their front. 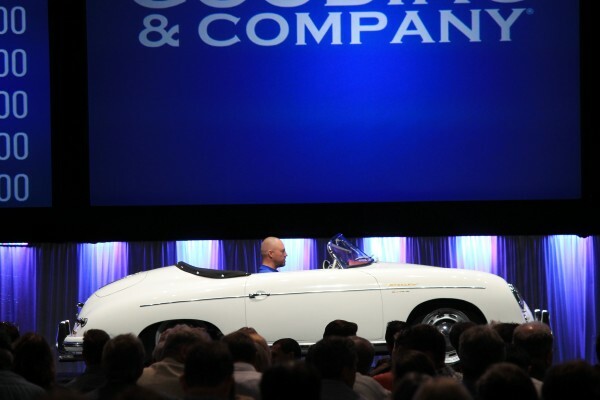 This year, Mecum hosted the sale of the Peter and Cheryl Dunkel collection, housing a well known 550 Spyder, a 356B Carrera 2 Coupe, and a Speedster race car, as well as a Porsche tractor, and various other Porsche memorabilia lots. The 550 was the most fetching of the proposition, and was the highest selling Porsche of the weekend. 550-0077 is believed to be the first 550 Spyder to feature the later spaceframe-style construction, rather than the traditional ladder frame. This, paired with the fact that 550s are exceedingly rare, and don't come up for sale very often these days, meant a very high final sale price. Anticipation was high, and there were a lot of numbers being floated around as to what the car could bring when it sold. The buyer ended up assuming ownership in exchange for a massive $3,750,000. How High Will Porsche Prices Go? 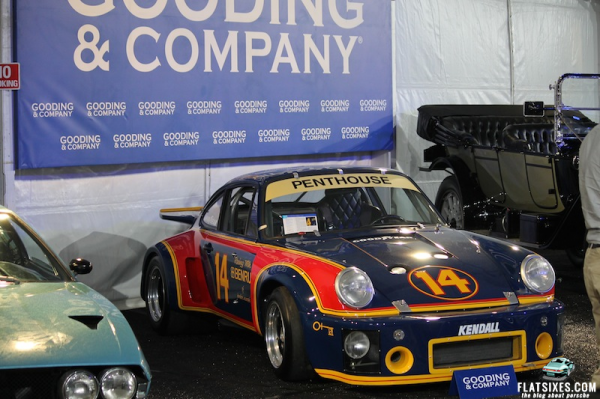 Auction fever was high in Monterey, and for Porsche enthusiasts, it was certainly a good show. While it is fun to see these large chunks of cash being thrown about, sometimes I wonder what these big numbers will do for the more pedestrian Porsche cars. Will they continue to go through the roof? Bill, we will send you an email.